Daniel Bisbing, a 2014 graduate of SAE Institute Los Angeles’ Audio Technology Program, has launched Arcane Talent, an L.A.-based agency that represents some of America’s premier bass music DJs and producers. Daniel Bisbing, a '14 grad of SAE Institute Los Angeles, has launched Arcane Talent, an L.A.-based agency that represents some of America’s premier bass music DJs and producers. SAE was the best fit for me because of the school’s intensive hands on learning environment. I loved the facilities, faculty, and curriculum, and I believe that the experience prepared me well for what I’m doing now. A native of Takoma Park, MD, Bisbing moved with his family to Huntington Beach, CA in 2004. His interest in audio technology began when he was 17 and had developed a passion for DJing. While initially a fan of hip hop, Bisbing slowly acquired a taste for EDM after discovering such artists as Death From Above 1979, Justice, and Daft Punk. 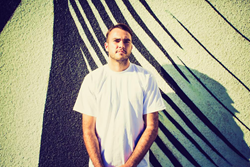 Following his graduation from Huntington Beach’s Marina High School in 2008, he pursued a career as a professional bass music DJ, and soon began gigging at such high profile events as SXSW and the Winter Music Conference. As his DJ work progressed, Bisbing sought to develop his knowledge about studio recording and music production, and in 2013, he enrolled in the Audio Technology Program at SAE Institute’s Los Angeles campus. For SAE students and grads who wish to pursue careers in bass music production (and possible employment at SMOG or Arcane), Bisbing recommends that they put in extra work and go above and beyond what is expected of them. Navitas is an Australian global education leader, providing pre-university and university programs, English language courses, migrant education and settlement services, creative media education, student recruitment, professional development, and corporate training services to more than 80,000 students across a network of over 100 colleges and campuses in 31 countries. Learn more at Navitas.com.